About a decade ago, the Army proposed a massive $1 billion expansion of the site, up to 7 million acres. It would have involved seizing private lands — through a legal process called eminent domain — across most of the southeastern corner of the state, an area bigger than Maryland, displacing more than 17,000 people. A feisty group of local ranchers, farmers, businesses and officials sprang up in response. Wooten became vice president of the Piñon Canyon Opposition Coalition, which allied with university scholars and conservation groups. They surveyed the area and identified its rare and impressive natural and historical resources, including neo-tropic bird migration stopovers and centuries-old Native, Hispanic and Anglo artifacts. In late 2013, congressional representatives from Colorado convinced the military to withdraw the waiver allowing the expansion. Somehow, this ragtag group of ranchers, farmers and nature-lovers had defeated the world’s largest military. 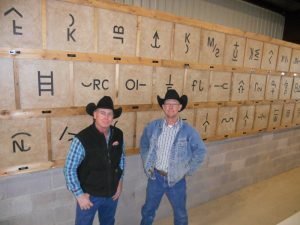 Wooten’s family sells landscaping stones, raises horses, and opens its lands to hunting, art workshops and “guest ranching” to get by. That led him and others to embrace the idea of “heritage tourism” — bringing in visitors who want to experience an area’s natural and human history. Perhaps they could preserve the region’s resources, avert future Army expansions, bring in money and even attract new residents. “My thought is, how do you create a community that is economically stronger and more diversified and balanced, and I saw a heritage area as a tool to help us do that,” says Wooten. He had no idea that garnering the necessary support would make defeating the U.S. Army seem almost easy in comparison.